Cristina Saenz de Santa Maria will be responsible for DNV GL's maritime operations in South East Asia Pacific & India from October 2017 in her capacity as Regional Manager. Having joined DNV in 2005, she has worked in newbuilding and operations phases as a ships surveyor and project manager in Spain, Portugal, South Korea and Norway. After heading the ships in operations section in head office, in 2012 she took the position of professional assistant to the CEO for maritime and oil & gas. Since the merger with GL in September 2013, she worked at DNV GL Group as senior consultant to the CEO's office and was project manager for the merger. In 2015 she became responsible for DNV GL's maritime and oil & gas operations in Africa in her capacity as Area Manager and Country chair for Africa until September 2017. Cristina received her Master of Science degree in naval architecture from the Polytechnic University of Madrid, Spain, in 2005. 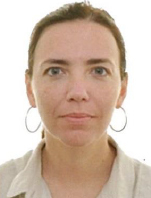 She also holds an MBA from IE Business School, also in Madrid.